Technology has brought about sweeping changes across the landscape of banking services. Rapid globalization has increased competition and customer awareness, which has led to the highest level of expectations from banking institutions with respect to services. Further, the evolving innovative fintech firms that are aligned with the disruptive technology of today’s times have urged banks to re-vamp their systems and processes. Banks have had to re-think and move away from their traditional business processes to keep pace with the changing times. NetSuite provides software services across industries to help organizations manage business, finances, operations, and customer relations. In line with its offerings, NetSuite has created Banking as a service platform with the objective of helping banking institutions to differentiate services and enhance the overall customer experience. Oracle NetSuite's Banking as a service platform will be able to assist banks to adapt to new systems and technology that are pervading the current phase of the banking industry. NetSuite's Banking as a service will not only deepen the bank-to-customer relationship, but will also help banks to bring about newer business models and revenue streams coupled with a robust and comprehensive business process automation that is quick, and reliable with strong security controls. Services across sectors have been aggressively going through radical enhancements to match ever increasing customer expectations. Banking institutions, by nature traditional and conservative set-ups, have been a little behind in the race and the new fintech companies have seized this opportunity to bridge the gap between customer needs and banking services. NetSuite Banking as a service has been introduced to close this gap by enabling banks to provide their customers with a digital experience that has become an integral part of customer requirement. With NetSuite, banks now have the appropriate means to offer the right services that will enhance customer experience and eventually lead to commendable increase in revenue and profits. To cater to the specific demands of the new age customer, NetSuite as a banking service provides easy access to the customers' own data, thereby helping them to maintain control over their respective finances and also manage multiple accounts across a range of service providers. Customer experience has been ably re-defined with NetSuite and never before has banking been so swift, seamless and satisfactory. NetSuite's unique open banking approach will aid in transforming traditional banks to adapt to emerging technologies that can help meet the growing customer expectations. 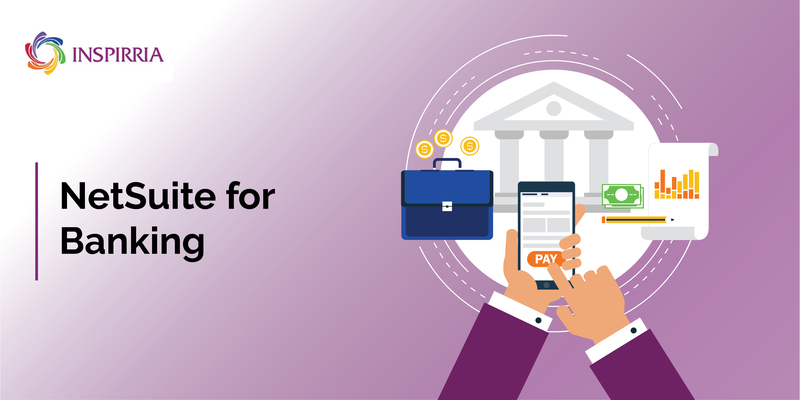 Open banking, a major move towards a digitized future has increased the potential of financial institutions to offer digital services to both individual and business alike. NetSuite's Banking as service is a timely introduction to banking institutions for re-energizing their business processes if they have to remain relevant in this age of technology disruption. Inspirria team has successfully Implemented Netsuite for an Energy Efficient Business selling sustainable energy solutions offsetting almost 21 Million of CO2, business provides monetary help to customers through Micro Finance Operations in India region. Modules developed were CRM, SFA, Procurement, Sales, After Sales Service, Direct Sales and Advanced Financials and Integration with Third Party CRM application.